If Bernard Lloyd never achieved the celebrity of some of his peers, it wasn’t for the lack of exposure or ability. A long-standing member of the Royal Shakespeare Company, he proved to be an excellent ensemble player who was more than capable of stepping into the limelight when the opportunity arose. 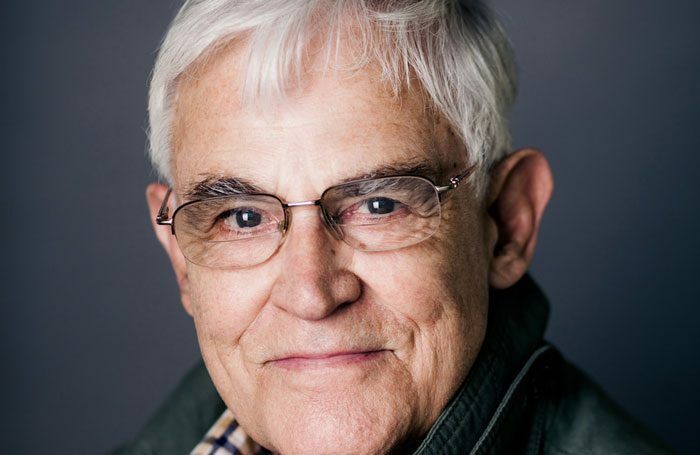 Born in Newport, South Wales, after graduating from RADA and making his debut with Regent’s Park Open Air Theatre in 1962, he seemed to be seldom out of work in a career that lasted until 2015 when, aged 81, he was seen in Rose Lewenstein’s Now This Is Not the End at the Arcola Theatre. He made a strong, early impression as a British soldier held hostage in the Middle East in Terence Feely’s Sergeant Dower Must Die at Blackpool’s Grand Theatre, transferring with it as Shout for Life to the Vaudeville Theatre in 1963. Lloyd joined the RSC in 1968 alongside a tranche of actors who would shape the company’s fortunes in the decade ahead – Patrick Stewart, Roger Rees, Richard Pasco and Judi Dench among them. In his first season, his Claudio opposite Alan Howard’s Benedick and Janet Suzman’s Beatrice (Much Ado About Nothing) was described by The Stage as “lean, dark, with flashing eye,” his Paris (Troilus and Cressida) hailed as “outstanding”. His only Broadway appearance, as Dazzle in Dion Boucicault’s London Assurance, followed with the company in 1974 when Richard Eyre’s revival was briefly seen on the Great White Way. Lloyd was a memorable Henry IV in the two parts of Shakespeare’s play for Bill Alexander with the RSC (1980) and twice played the alcohol-dependent Open University tutor Frank in Willy Russell’s Educating Rita: at the Watford Palace (1983) and for Theatr Clwyd in 1990. He returned to Mold in 1992 as a charming but calculating Dorn in Chekhov’s The Seagull and again in 1994 as a measured and menacing Macheath in Brecht’s The Threepenny Opera. The following year, Lloyd gave “a masterclass in how to fascinate and amuse an audience for two hours without breaking sweat”, playing several roles in a three-handed version of Graham Greene’s Travels With My Aunt at York’s Theatre Royal. He juggled just as deftly with multiple characters in Chichester Festival Theatre’s 2006 revival of David Edgar’s The Life and Adventures of Nicholas Nickleby, bringing notable relish to the actor-manager Mr Crummles. Especially notable among his last stage appearances was a distinguished Gloucester to Tim Pigott-Smith’s King Lear at the West Yorkshire Playhouse in 2011. On television, he will be best remembered as the pre-Raphaelite painter William Holman Hunt in The Love School (1975) and as the Traveller in Andrew Davies’ chilling adaptation of Charles Dicken’s ghost story The Signal-Man (1976). Bernard Lloyd was born on January 30, 1934 and died on December 12, 2018, aged 84.